Bingo is obviously our main draw. We love the game and we’d like to see more people play. But there’s a big bingo community out there outside of the halls. We want to share some of the top bingo site reviews on the web for participants in the community. Though, the reviews found on most of these sites come from disappointed players, it is useful for sites like BingoMania, 123Bingo and Cyber Bingo to help bring attention to such review communities. These two sister sites are large bingo directories. They give reviews on all the major sites and ranks them according to their criteria. The one with co.uk at the end focuses on bingo sites in the UK. If you want to get your feet wet on several websites, take a spin through these. This site is in the same vein as the ones above, but it also has extensive pages on gambling laws, the rules of different bingo variations, and it also has a discussion forum for players. Another one-stop-shop for extending your bingo community! If you just want to talk bingo, this is the site for you. It is a discussion forum for fans of the game. You can write about your latest jackpot, talk about your experiences on different sites, and much more. Check it out. We’ve mentioned this site in the past. If you want to take advantage of free offers given by bingo sites, this is the place to look. You can get great sign-up bonuses, free spins on slots, and much more. Just make sure to read the fine print carefully! The IXGames forum is a general forum on gaming sites online. If you want to branch beyond bingo into the world of sports betting and online poker, this is the place to go. They also have a bingo section. 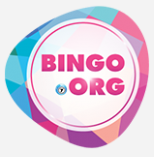 Finally, the site with the easiest name to remember, this is another site aggregator for bingo websites. It also has articles on the latest bingo news from around the world. Don’t be afraid to try multiple sites. You may like hanging around the UK crowd more than the US crowd we have here, or perhaps you just prefer 90 ball bingo more. If bingo is your passion, you owe it to yourself to explore the wide variety of bingo opportunities out there. Try reading some reviews on mobile bingo apps. You could sneak a game in anytime! Or sign up for one of the forums so you can complain about that cruddy site with the poor terms of service, or that one big blackout bingo that got away. Take a spin through these and let us know what you think.